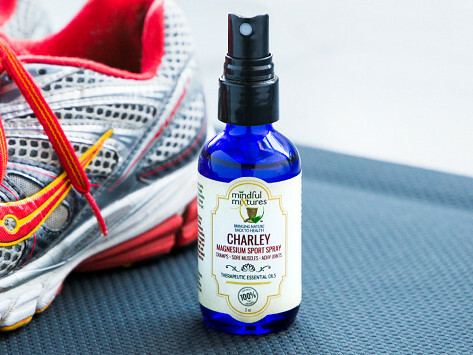 For muscle pain relief, try this Made in the USA, magnesium-based formula that goes directly on the skin for the fastest absorption. It can help relieve sore muscles on contact. Magnesium counteracts the calcium buildup that leads to cramping and helps your muscles absorb the potassium they need to function. And we can’t think of a better equipped group of Makers. Mindful Mixtures was made by three female relatives, a dietitian, personal trainer, and aromatherapist. Dimensions: Gel: 2" diameter x 1.88"; Spray: 1.5" diameter x 5"
Weight: Gel: 0.16 lb. ; Spray: 0.29 lb. Started using the gel and what relief. Really helps and I love that it has no scent since I have asthma. Great product! my muscles were sore, i put some on, they stopped being sore much quicker than if i hadn't put some on. For muscle pain relief, we prescribe Mindful Mixtures. 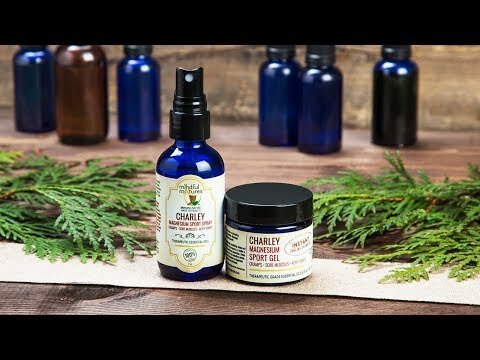 Three female relatives (a dietitian, personal trainer, and aromatherapist) teamed up to make a cramp-stopping, magnesium-based formula in the USA. Magnesium, we’ve learned, is indispensable for your health. It counteracts the calcium buildup that leads to muscle cramping and helps your muscles absorb the potassium that they need to function. It’s also key to the production of ATP, our cells’ main source of energy. The most efficient way of getting a mineral like magnesium to your body is through the skin. In fact, that’s what inspired the family. When one of the Makers was struck by a sharp leg cramp, she quickly sprayed deodorant (with magnesium) on it and the cramp was gone. That’s why Mindful Mixtures comes in a gel and a spray that are easy to apply over tense areas. Their formula combines magnesium, Himalayan salt to relax the muscles, Wintergreen to help relieve pain, and some other natural ingredients. Whether you’re cramped from a marathon or sore from sleeping the wrong way, this magnesium mixture can help stop the discomfort on contact.